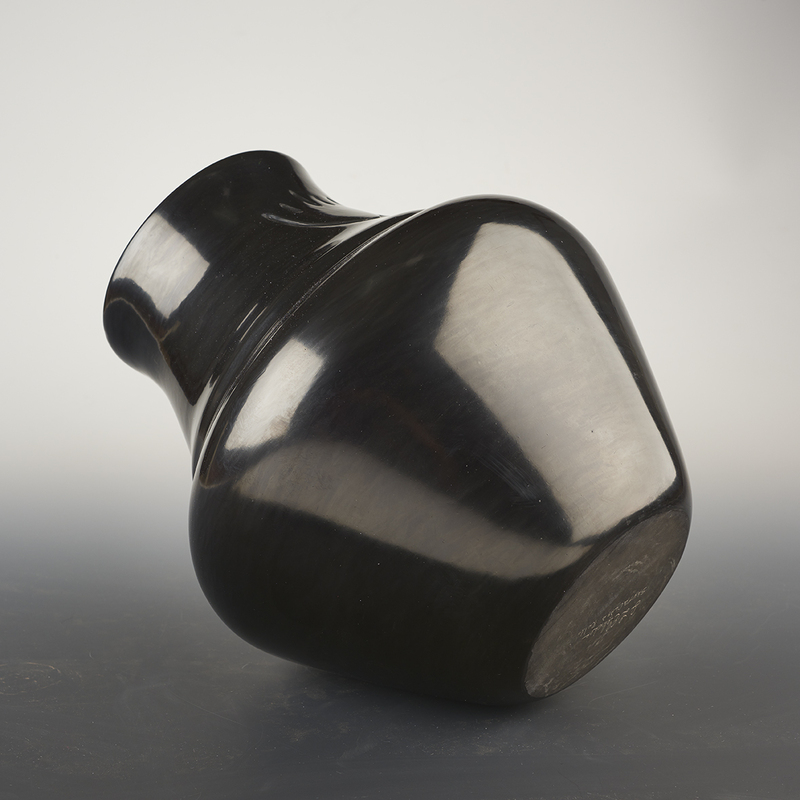 This is our second individual piece by Jason. We have had collaborations he has done in the past, but we are thrilled to be working directly with him with his new works. When we were deciding what to showcase, we thought the very classic, large double shouldered water jar would be the place to start. This piece has two impressed bear paws. 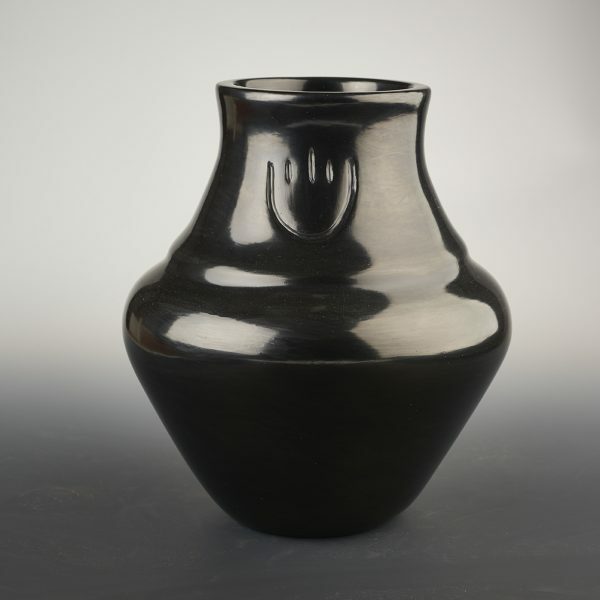 Everything about this jar is so elegant, The shape, the simplicity of design, the bear paws, the fantastic firing and the outstanding polishing. It displays all of Jason’s talent in one place! Jason Ebelacker (b.1980) of Santa Clara Pueblo specializes in and carries on the traditional large Santa Clara pottery made by his family for generations. He is the son of Yvonne and Richard Ebelacker, great-grandson of Margaret Tafoya, and grandson of Virginia Ebelacker. Jason learned to make pottery from his father, who taught him the traditional techniques of pottery making, following the classic Tafoya legacy. 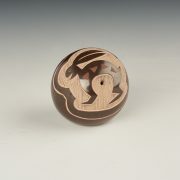 His work is inspired by the classic shapes and designs of his family and the pueblo. He is noted for elegant forms, lustrous stone polish and skilled carving of his pieces. Jason has won awards at Santa Fe Indian Market and Best of Pottery at the Autry 2016. 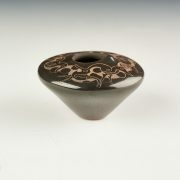 His work can be found in museums and books on Santa Clara pottery.